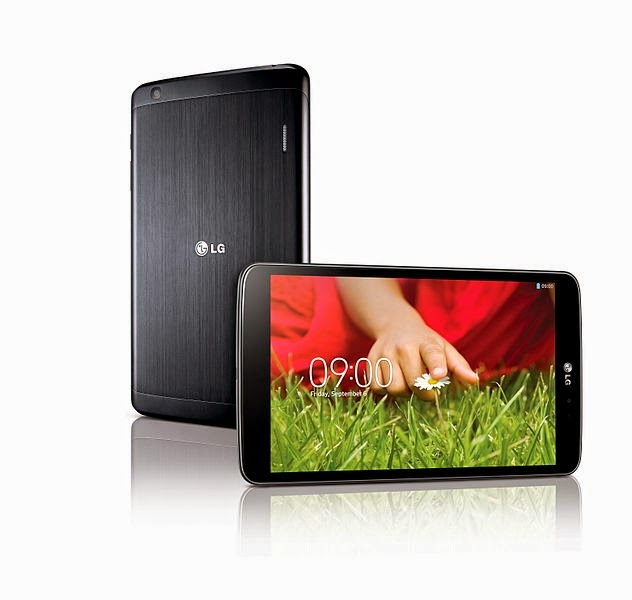 Think of the LG G Pad as the tablet Goldilocks would choose. With an 8.3-inch screen, it's smaller and more portable than a full-sized iPad or Android tablet but larger than an iPad Mini or the popular 7-inch tablets like Google's Nexus 7 or Amazon's Fire. The G Pad has a solid feel when you hold it with two hands in landscape mode. It's almost too wide for one hand in portrait mode, especially if it's in a case. The tablet has a gorgeous high-definition screen that makes it an attractive device for videos on-the-go and its size gives you a larger keyboard for serious work. It comes with 16GB of internal memory, but you also get an SD expansion slot to add more. The G Pad runs version 4.2 of Android's operating system, also called Jelly Bean, and it comes with a few extra software embellishments. You get Bluetooth tethering to connect other Wi-Fi devices, a double-tap on the screen to quickly wake the tablet or put it in sleep mode, and a way to use multiple apps as layers on the screen. The G Pad sold at Verizon's stores plugs into the carrier's LTE broadband network. You can get one for $300 without a contract or $200 with a two-year agreement.